Straightforward circuits provide simpler, more direct signal paths and require fewer component parts to implement. This is desirable because all component parts fall short of ideal and impose limits to transparency. Fewer parts means less of the unavoidable coloration that is imposed by each part, even the best available. Fewer parts means that the budget can be concentrated to obtain the often costly best available parts especially for key circuit applications. The design of limited feedback circuit demands discipline from the circuit designer in developing a circuit in which each stage functions linearly without requiring external correction from a feedback loop. 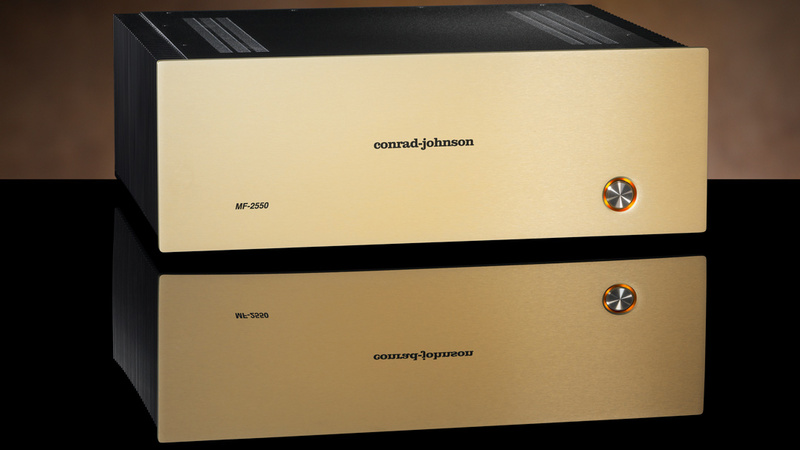 Our latest solid-state amplifiers, the MF2550 and MF2275, nicely embody this approach. Differing primarily in power output rating, these amplifiers share a common circuit design. High voltage FETS permit highly linear operation of the critical first voltage gain stage, while bi-polar transistors are used to configure an output stage with low output impedance to deliver maximum current to reactive speaker loads. effects of the substantial current flows required in the output stage. Circuit design is a combination of science and art. At every step consideration must be given to how a circuit will be implemented. The realized performance will depend critically on the selected component parts. 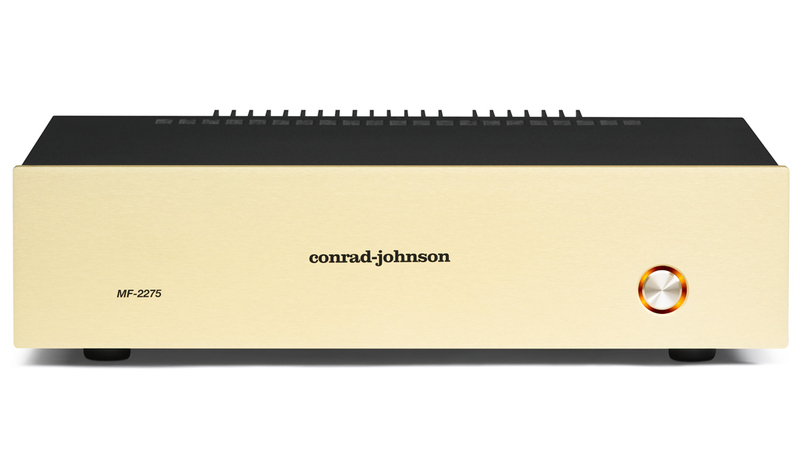 Conrad-Johnson products are known for unmatched quality of parts with custom-made film capacitors and precision metal film and metal foil resistors. We even use large 30 micro-Farad polypropylene capacitors for critical circuit applications where other designs commonly use non-polar electrolytic capacitors, the factor of 1000 reduction in dielectric absorption of polypropylene resulting in a cleaner sound. The power supply electrolytic capacitors are bypassed with high quality polypropylene film capacitors that provide a small but quicker responding current reservoir. For those wishing to take the musical experience a step further there are available special “SE” versions of these amplifiers which achieve further refinement in imaging, focus, and detail by upgrading a dozen or more critical capacitors to our proprietary CJD Teflon hybrid capacitors and a couple of dozen resistors to precision metal foil types. Our obsession with parts quality extends to the connections within the circuit itself. Power supply, signal and ground traces and wiring are parts of the circuit with limitations and shortcomings that must be accounted for. To enable the output stage to deliver substantial bursts of current, the layout provides storage capacitors close to each output device. The internal power supply connections and ground returns between the main supply and these local storage depots are accomplished with heavy, audiophile grade multi-stranded wire in order to minimize the impedance of these longer runs. 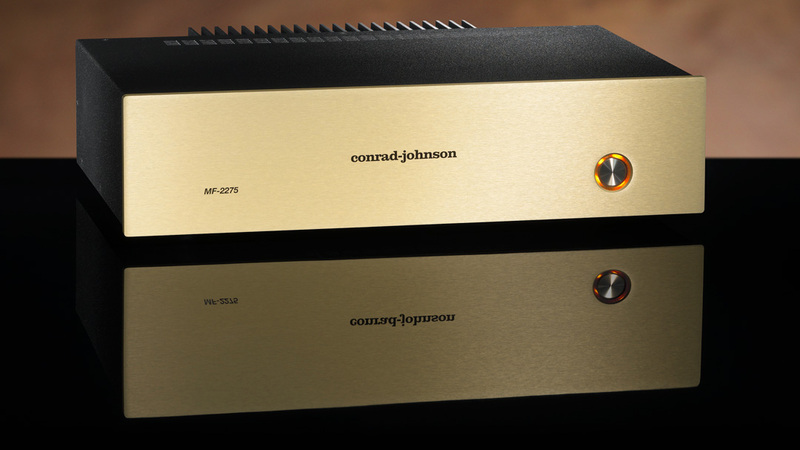 Thoughtful engineering, specification of high quality component parts, and painstaking care in production make these exceptional audio amplifiers. 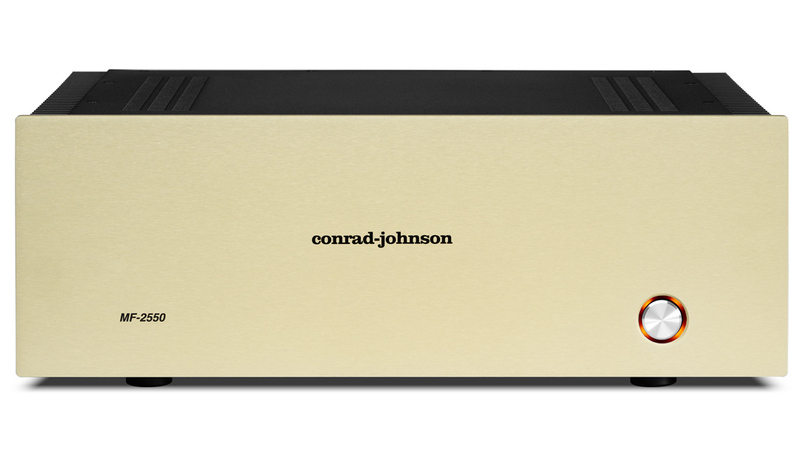 We invite you to arrange an audition with your conrad-johnson dealer to confirm for yourself their extraordinary musical performance. 250 Watts per channel from 20 Hz to 20 KHz at no more than 1.0% THD or IMD, both channels driven into 8 ohms.